The first Courtyard Concert went off with a bang, kicking off the 2018 performance season for the Music Department. The concerts have been developed in response to the need to find ‘in house’ opportunities for our students to perform, and for our sound engineering pupils to hone their skills. Students get to fine tune their work in front of a live but ‘local’ audience. 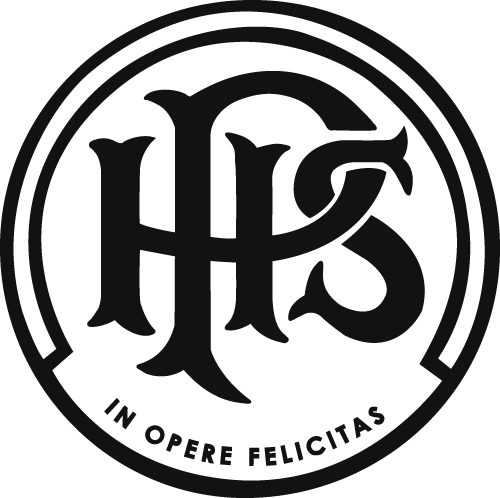 This is particularly useful when preparing for competitions and tours, as well as giving families a chance to see and hear the results of all those rehearsals and camps. The weather is always a worry when planning these events, but we were so lucky that for this year’s first event it behaved beautifully. 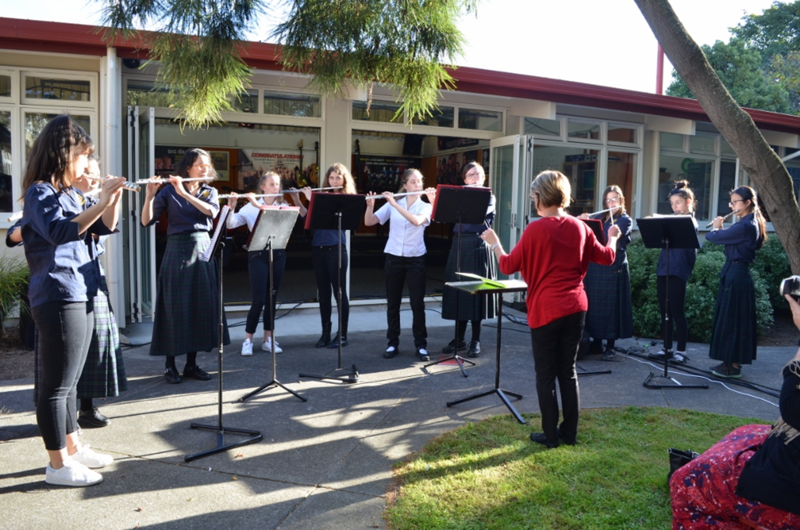 The courtyard was packed and the audience was treated to a variety of musical offerings with our Concert Band opening proceedings with pizzazz. We were then treated to a broad selection of works including solo vocal performances, a sampling from our Year 13 rock band ‘Three Chairs Missing’, the Silvertones Flute Ensemble, the Jazz Combo, and the Jazz Band. 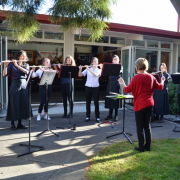 All groups played with aplomb and the range and variety of groups reflects the vibrant Music Department of Papanui High School. A big thank-you to the students and staff who make these concerts possible, and such a treat for those attending.